We provide a broad range of fisheries and aquatic services as well as fisheries assessments, studies, salvage/relocation, and regulatory compliance consultations. MB&G assists our clients with environmental compliance needs on projects that require in-water work or result in impacts to aquatic resources. 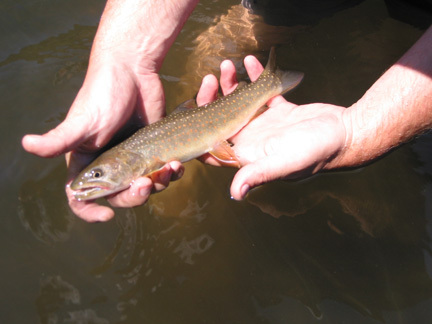 Our fisheries biologists have the experience and expertise to document environmental baseline conditions for aquatic systems, conduct fish population surveys, perform macroinvertebrate surveys, and apply water quality/quantity aquatic models. We coordinate with federal, state, and local agencies on necessary in-water work permits and develop impact minimization measures and aquatic restoration plans. Our biologists have an excellent working knowledge of the ecology and dynamics of aquatic resources within the Pacific Northwest, and the regulations that govern in-water actions in sensitive fisheries and aquatic habitats. MB&G fish biologists are well-trained in the physical and biological elements that factor into assessing fish passage obstructions and the effect of the obstruction on local fish populations. We work closely with engineers to design structures or stream enhancements that facilitate passage in a variety of physical settings. Our biologists are also experienced in facilitating fish passage mitigation for projects that have a higher appreciable benefit to migratory fish and higher ecological return on capital investments by providing passage at an off-site location. 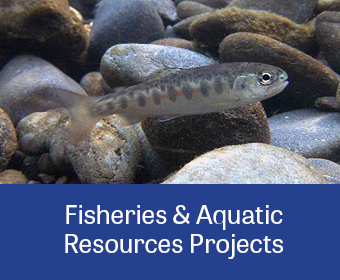 MB&G has extensive experience planning, permitting, conducting, and reporting on fish population sampling projects and in-water construction projects that require fish salvage and relocation efforts. We have successfully completed fish sampling or salvage operations in every major watershed in Oregon. Our biologists’ approach to applied fisheries projects emphasizes collecting timely and accurate field data while maintaining fish health, permit compliance, and adhering to dynamic project schedules.